The writer, R.M. Holland, author of the Gothic horror story “The Stranger,” lived in a building that is part of the school campus, and his office has been preserved as a sort of museum. 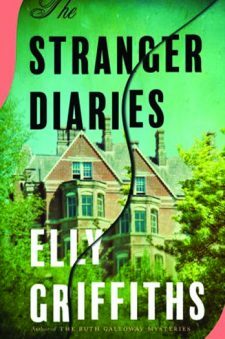 The teacher, Clare Cassidy, specializes in Holland’s work; however, when bodies start to appear with quotes from “The Stranger,” her personal life and her work are melded in a way she could never have imagined. As a person of interest in the case, the police are concerned that she unwittingly holds the keys to clues to break the case. Clare finds written notes in her personal diary that appear to be from the killer. In an attempt to keep Clare and her daughter safe, the police help get them out of town only for their plans to have been anticipated by the killer. I was truly spooked over this book. It had me crawling in my own skin trying to figure out the villain (and I did not; it was a complete surprise). This Brit import is ready to take the American reader by storm. 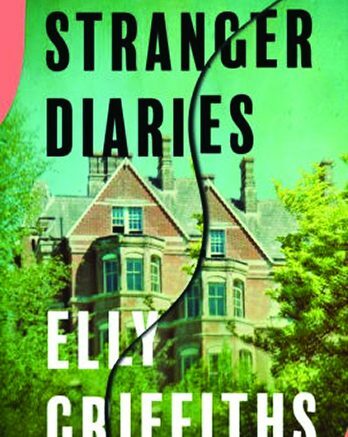 Be the first to comment on "“Stranger Diaries” by Elly Griffiths"